On-page SEO are techniques you can use to improve your chances of having your site ranked at or near the top of searches. Examples include using the best keywords, saturating your text with the optimal number of these keywords, and placing those keywords in the locations search engines like best. • Making sure your site has great meta tags, which are the description tags that appear in search engine result pages. Be sure to use to mark the beginning and end of your meta tags. Plus, make sure they are limited to 160 characters in length, including spaces. • Including your keywords in your header tags (also known as H1 tags). These are the headlines that at the top of your article and within your web content. • Including your keywords in ALT image text. These are the descriptions added to an image that are displayed when a user places the mouse cursor over the image. • Making sure your content includes internal links. These are links that connect to your other blogs or other parts of your website. Off-page SEO is just as important as on-Page SEO. One of the best off-page SEO techniques is backlinking, or link building. The more links your site includes to other sites – especially sites search engines considered “authoritative” – the higher your site will be ranked by search engines. 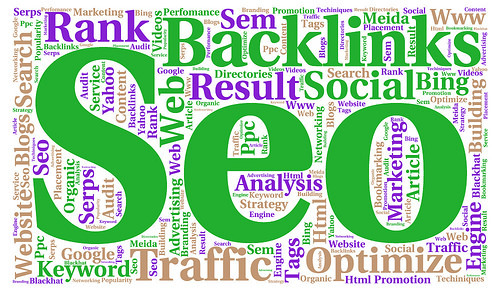 The biggest benefit of backlinks is that they cause search engines to give your site higher rankings on search pages. If your site is in the Number One spot on the first page of a search for your niche, you are practically guaranteed to be clicked on by thousands, if not millions, of people every day. And if only a tiny percentage of those visitors actually buy something on your site, you can make a lot of money. But if you end up anywhere except the top half of the first Search Engine Results Page (SERP) for your product niche, you aren’t going to make very many sales. At that point, it’s time to improve your SEO by creating more backlinks. The best backlinks link to authoritative sites. These are sites that most people would visit if they were looking for specific information. Examples include Wikipedia, eHow.com, Wikimedia Commons, and others. For example, assume your website offers automobiles for sale and you have included two backlinks on your web page: One links to Motor Trend magazine’s website, which says your site is a great place to buy cars. The second is to a food blog where there is a recipe you liked. In this case, the first backlink would be substantially increase the value of your web page in the eyes of the search engines. The second wouldn’t help it very much, although if it had the proper keywords it might help your rankings a little bit. • One-Way Links – These are links from one or more pages of another website to yours, without your linking back to that site. • Reciprocal Links – These links connect to another site, and the other site links back to your page. Another term for this is link swapping. • Three-Way Links – This is when you link to a website, but instead of linking directly back to my site, the person running that site links back to your site from another site. The type of links search engines are one-way links because there is no reciprocity. Search engines also like three-way links because they look the same as one-way links. Most links will add value to your web page for search engines, but stay away from getting backlinks from unsavory sources, such as gambling or pornographic sites. These will harm your site’s reputation among the big search engines. To learn more techniques like these for improving the profitability of your business, check out our lead generation system for internet marketers by clicking on this link now.